The way we communicate within our businesses and throughout our workdays has been forever changed by technology, and chances are good that will continue to change at a rapid rate. Technology, especially the advent of cloud computing, has paved the way for better collaboration, more effective processes, greater efficiencies, and streamlined business practices. Let’s explore some of the ways that cloud computing and technology enable better communication, regardless of the size of your business. With an ever-increasing number of the labor force working remotely and with virtual teams becoming commonplace, adoption of video conferencing is an important element of keeping teams connected and powering collaboration. Not only does video conferencing connect teams to one another, it connects teams to their customers and prospective customers. Video allows us to be face-to-face in a personal way that old-school conference calls don’t. Video conferencing can help foster the development of better relationships and more effective meetings and collaboration sessions and help get things done more efficiently and more effectively as a result. Paper documents and file folders have gone the way of the cloud and, as a result, a paperless business environment is pretty much the norm. Cloud-based document sharing solutions like Google Drive, Box, Dropbox and a host of others put documents at our fingertips, accessible whenever we need them, wherever we need them. Being able to work together on documents, share things between internal teams as well as with clients allows speedy, seamless collaboration. In fact, we’ve likely become so accustomed to cloud-based document sharing that thinking back to the days when we relied on hard copies of information passed around between people and/or emailed back and forth as attachments seems like a lifetime ago. That’s a great example of how quickly things are changing because of cloud computing and the benefits technology affords, and also a nod to the future. Things will likely continue to change in a rapid fashion as a result of technology. Along with cloud-based video conferencing and document sharing, messaging platforms allow us to move away from wading through seemingly endless emails filling our inboxes. We use messaging platforms all day every day in our personal lives, relying on text messages, iMessage, Facebook Messenger and the like to communicate with friends and family. From a business standpoint, messaging platforms offer much convenience as well. Whether you and your team use GChat, Slack, Microsoft’s new Teams product or some other messaging platform, getting quick and easy answers to questions, or having easy group discussions can get questions answered quickly, plans made, and email avoided. And that? That’s a huge win for everyone! Cloud computing and many advances from a technology standpoint have changed everything about the way business is done. Whether it’s video conferencing, keeping us connected to one another and our clients in a personal manner, messaging platforms that allow us to quickly and efficiently communicate with one another, or document sharing in the cloud that affords better, more effective collaboration, the cloud has had and will continue to have an impact on businesses of all sizes. 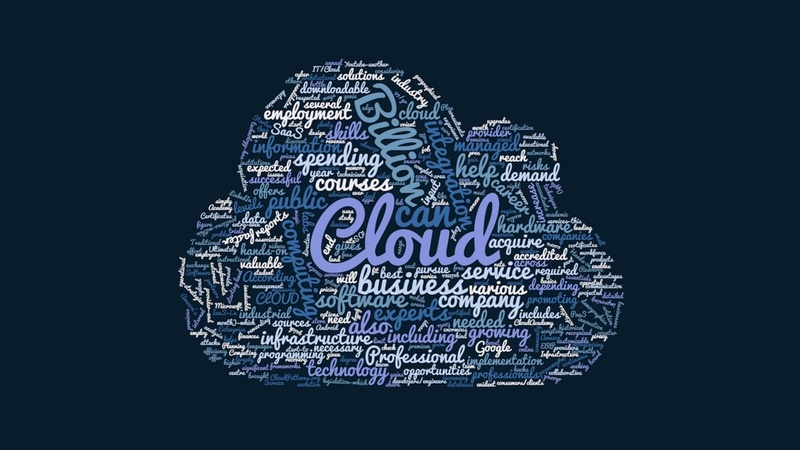 How are you using cloud computing in your business and what has changed as a result? Have you embraced things like video conferencing, cloud-based document sharing, and/or regularly use messaging platforms? Are there other things fueled by the cloud that you find extremely effective you’re your business? We’d love to hear your thoughts on this and where you are in the adoption of cloud technology in your business.